Over the summer, we moved into our empty nest home. We were really excited about the decrease in energy costs that come along with decreasing the size of our home and the number of people using the utilities in it. Our old house was 3300 square feet, with two floors. Four of us were living there, but since I also had the home daycare, there were several preschoolers in the house five days a week. That's a lot of handwashing, toilet flushing, plus the regular family uses like lighting, laundry, heating, and air conditioning. With the door opening constantly during the day as people came and went, we probably spent way more than the average family on energy costs. Now that we've been in our new home a few months, we're discovering that our costs really haven't decreased very much. It's been frustrating because this house is just 1600 square feet and now it's just the two of us living here. Since we're in a new town, we had to set up new utilities, start new contracts, and of course pay deposits. Unfortunately water costs a lot more in this town and the new electrical contract is a higher cost per usage. Now we are scrambling to figure out new ways to save on utility expenses. Luckily we are heading into fall so I'll be able to turn off the air conditioner soon, but I've been really focusing on ways we can save on water. In doing some online research I discovered there are ways to "go green" with plumbing that can really help to decrease not only costs, but our carbon footprint. Reeves Family Plumbing Inc in Carrollton, Texas, has several fabulous suggestions that go beyond basic plumbing repair that can make a big difference. Although many people already have the low-flow or dual flush toilets, there are actually water restrictors that can be installed to help us save even more. A tankless water heater is probably one of the most popular new ways to help families because it takes much less time for water to heat up, which means you don't have to run the shower for five minutes to get the water hot. 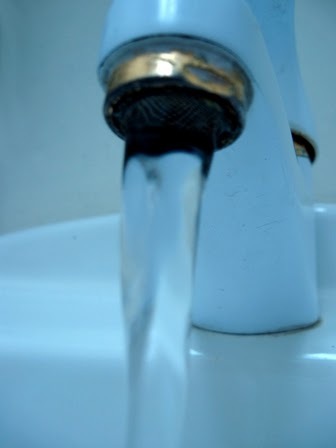 Another smart way to conserve water and money is to repair or replace leaky faucets, both inside and outside. If you see water damage, don't wait to call a plumber or it could cost you way more than a service call. Last, be aware of how much water you are really using and find ways to reduce your consumption, like washing dishes by hand and watering the lawn in the early morning when it won't evaporate as quickly. How do YOU save money on water expenses?